When investing in the precious metals by weight, the PAMP Suisse Gold Bar 1 oz is difficult to beat for value and liquidity. Today PAMP handles over 400 metric tonnes per year (almost 13 million troy ounces), and ensures, with vigilant attention to product quality, that its brand is recognized worldwide as a guarantee of excellence. This beautifully made struck bar features mirrored surfaces, squared corners and outstanding security hallmarks. 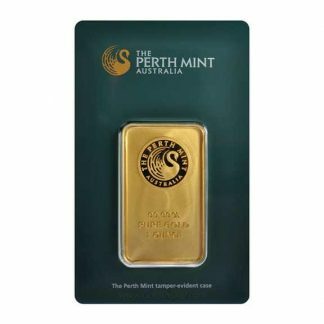 It comes in its own protective plastic case which includes the PAMP S.A. Switzerland pink Assay Certificate identifying the bar as to weight (1 oz), purity (999.9 fine gold) and includes the bar identification number (a 7 digit serial number etched into the bar by PAMP). The see through plastic holder protects the gold bar nicely and for larger investors PAMP produces a covered, slotted box which holds 15 bars securely. 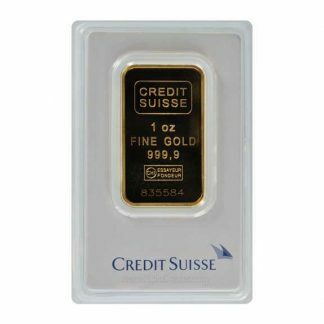 There are other reasons to own this bullion standard: (1) the premium over gold content on the Pamp Suisse Gold Bar 1 oz is small and so attractive to investors looking for a bullion product which fluctuates daily with the worldwide price of gold. 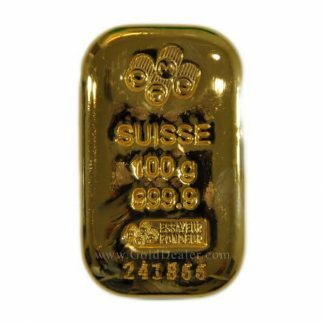 (2) Because the Pamp Suisse Gold Bar 1 oz is produced by a renowned refiner its content and purity is accepted worldwide. This allows traders to post daily buy and sell prices which assures liquidity. (3) Because the PAMP Suisse Gold Bar 1 oz is pure it appeals to a worldwide audience including the Chinese and Asian trade. 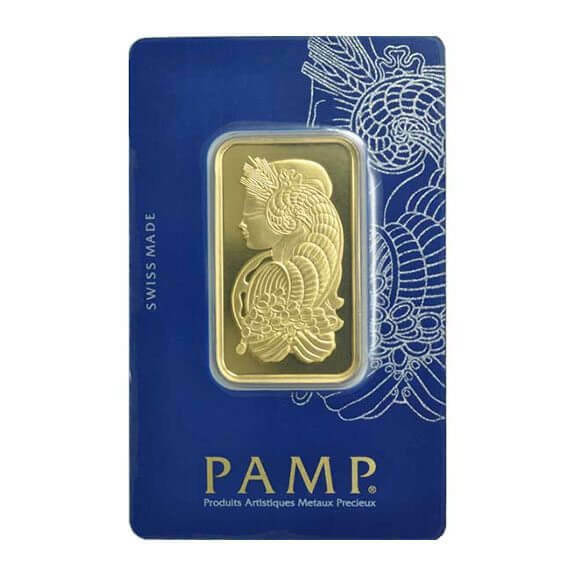 (4) The PAMP Gold Bar 1 oz size is small enough to be convenient and also provides choices when buying or selling a larger gold bullion position. 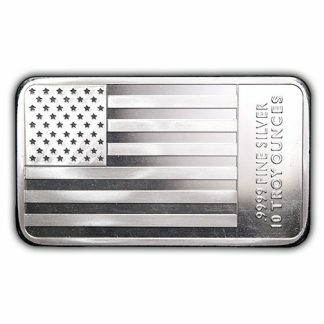 (5) There is no reporting requirement (Federal Form 1099B) for this popular gold bullion bar when you purchase or sell. 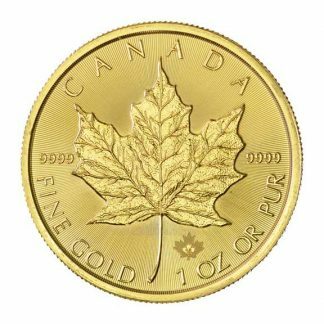 Best website to order gold coins and best customer service!! 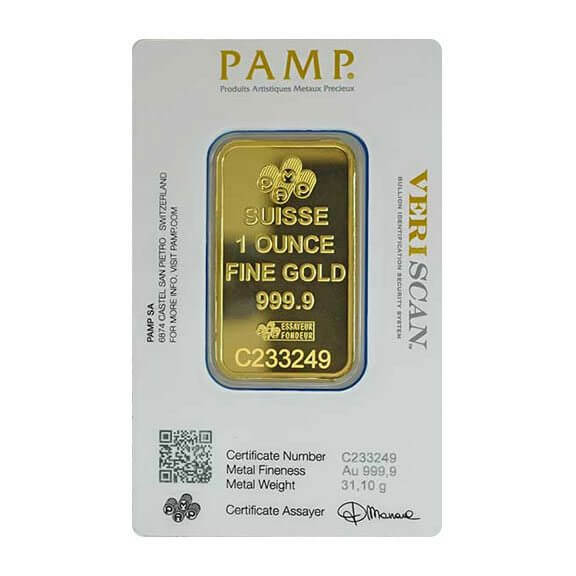 California Numismatic Investment (Gold Dealer) is great place to buy PAMP Suisse Gold bars. I have been buying from CNI for the last 7 years. Ever since my first order I never changed or looked for another dealer. I would like to take this opportunity to thank Sal for his excellent customer service. He is a gem and a great asset to the company. All my purchases go through him which is just awesome. I have recommended this company to my colleagues and friends. I been dealing with CNI for about 6 months. What I like about these is that each bar is beautifully presented; encased in plastic film, fully identified, and numerically certificated. Your gold is fully protected, and the packaging makes for easy verification of authenticity. And as always, you will not get better prices or better service from any other reputable dealer out there. Even though I live on the east coast, I have been doing business with CNI for ten years, and I would go nowhere else for the buying and selling of my precious metals.